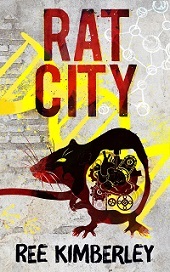 Various bits and pieces, including a new short story and starting again with my YA novel that is the follow up to Rat City. The short story is a ghost story about a skateboarder and losing teeth. I’m not the only person who has nightmares about losing teeth, and there are many, many interpretations about what this dream might mean. For the character in my story, he is giving his teeth away willingly one by one. There is a specific reward for him doing so, and he thinks this is the reason he’s doing it, but there is another deeper, more frightening reason…if only I knew what that was! Such is the life of a pantser. I’m sure it will come to me sooner or later. At the start of the year I reviewed my follow up book to Rat City and began a rewrite but it wasn’t working for me at all. I had two choices – give up on the project completely or attack it from another angle. I’ve chosen option 2, which is challenging but I’m convinced there is a decent story in there if I shut up and listen for it. A couple of things have been inspiring me over recent weeks: Mad Men and Grace Paley’s short stories. I bought Paley’s collected short stories in January and have been making my way through it. The woman is a genius with voice. She throws the reader smack bang into the middle of the story and you either sink or swim. I love her work. She was one of a kind. I started watching Mad Men on Netflix and have slowly been making my way through all the series. I love it for a lot of reasons but particularly (at the moment at least) because the character of Peggy Olsen inspired me to write a horror story set in the 1960s. That character’s steely eyed determination means she’s willing to push boundaries, which makes her the perfect jump-off point for a horror story based on love gone awry. My writing schedule has been a little up and down lately, so I need to re-focus and not procrastinate when it’s writing time: that is, shut down the browsers and stop looking for excuses to veer away from the blank page. In other news I’ve just signed with Danielle Binks from Jacinta Di Mase Management and am really looking forward to working with her. Danielle and I have been having discussions for more than 18 months to get to this point and I know we’re going to have a fantastic and fruitful working relationship. Congratulations on being signed with Danielle Binks, that’s wonderful and exciting news! Thanks Fiona, I’m really excited to be working with Danielle.